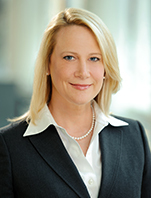 Alison Williams is the Global Financials Sector Head for Bloomberg Intelligence, a unique research platform that provides insight on markets, industries, companies, and government policy, available on the Bloomberg Professional Service at BI . Williams directly covers Global Investment Banks and Asset Managers. Prior to joining Bloomberg Intelligence, Williams was a portfolio manager and analyst for Morgan Stanley Investment Management, where she managed a financial services investment fund and co-managed a diversified multi-capitalization fund group. Prior to Morgan Stanley, Williams spent several years working in sell-side equity research covering financial services stocks at UBS Warburg/PaineWebber.